A brave ranger from NRT’s specialised 9-1 security team lost his life in an exchange of fire with heavily armed cattle raiders on Sunday 11th May. Ltadamwa Lardagos, 36, had been part of the 9-1 team since it was established back in 2009. 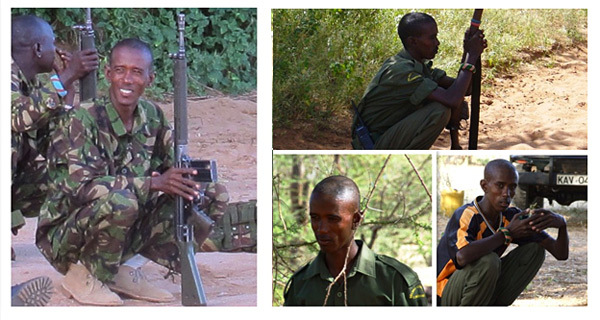 An experienced, talented and dedicated ranger, he will be sorely missed by his team-mates, his family, and his friends. Lardagos lost his life recovering livestock that had been stolen from the Meru area, on the slopes of Mt. Kenya. He had been involved in many similar incidents over the years, resulting in the successful recovery of hundreds of heads of cattle. This fateful incident was described as ‘extremely unlucky’ as his team walked into a carefully prepared ambush. Lardagos was killed instantly. The armed gang, who had stolen large numbers of cattle, had been on the move for several days, and had already encountered an NRT vehicle, although by accident. After the theft, the gang had rapidly headed north, through Nakuprat-Gotu Community Conservancy, where in panic they shot at an NRT vehicle heading back from a community board meeting. The vehicle contained Gabriel Nyausi, NRT’s community development officer, as well as several board members of Nakuprat-Gotu. The driver, “Ndege”, has received training in driving in hostile situations, and managed to manoeuvre the vehicle through the spray of bullets, driving all passengers to safety and escaping with just a graze on his head from a speeding bullet. 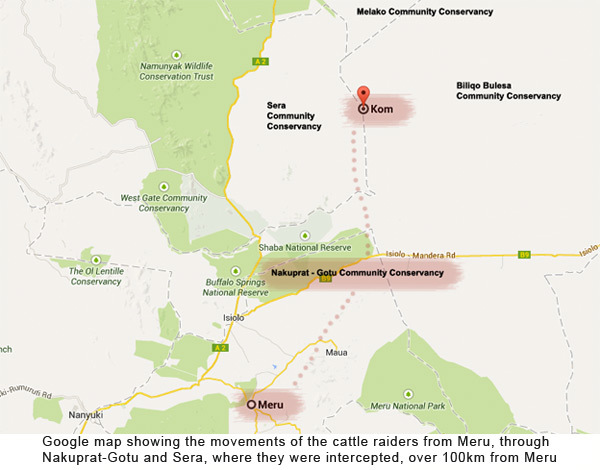 As the thieves headed into Sera Community Conservancy with the stolen livestock, the Kenya Police called in the help of NRT’s specialised 9-1 security team. 9-1 immediately sprang to action, picking up the trail of the gang near the village of Kom. It was here that they encountered an ambush, and exchanged heavy gunfire. During the exchange, Ltadamwa Lardagos was hit by one of the cattle raiders’ bullets and tragically lost his life. The gang made their escape, but did not count on the strength of the community spirit and their unwavering support for the 9-1 team. As the rest of Lardagos’ team followed up with the bandits, people from nearby villages came forward, eager to gave information on the movements of the gang. It was this information from the community and the fast action of the 9-1 team, that lead to the arrest of his killer the same evening. NRT also wishes to thank Tropic Air for their rapid assistance, as they flew in a team of tracker dogs and their handlers from Ol Pejeta Conservancy to help find the culprit. As the case now rests with the Kenya Police, it will be this community involvement that will help to catch the other individuals involved in this incident. Lardagos died fighting to protect his community, his rangelands, and for peace in northern Kenya. He was given a police burial in his home conservancy of Melako on Thursday 15th May, where he was described by an officer as “a good fighter and soldier, and loyal to the team.” The service was attended by his family, NRT staff, his fellow rangers, and representatives from three county governments, the Kenya Police and the Kenya Wildlife Service. He leaves behind a wife, Mbeneiyo, and two young children, Stephano and Nambiyie. Although nothing will ever bring him back, his family will be left with financial support equivalent to eight years of his salary. The US ambassador Robert Godec, who visited this area just last month to open the new Nasuulu Headquarters, tweeted his support, saying “Ltadamwa Lardagos, we mourn his death & celebrate his courage & all who make great sacrifices to protect Kenya’s wildlife”. NRT has set up a fund to support Lardagos’ children through school, and we would welcome any donation great or small. To donate in USD, please see our Crowdrise site. The establishment of 9-1, so called because of their radio call sign, was in response to requests from the communities of Sera, Biliqo-Bulesa, Namunyak and Melako for a multi-ethnic security team. They wanted a unit that represented each of the three ethnic groups in the area, to focus specifically on poaching, road banditry and livestock theft, which has always been particularly bad in this region. Individuals from each community were nominated and recruited, and 9-1 was born. Ltadamwa Lardagos was one of these original twelve men. NRT has a vested interest in helping the Kenya Police tackle livestock theft, as it poses such a major disruption to people’s lives in northern Kenya. Historically, it has been a root cause for violent ethnic tension, and the individuals now involved in cattle rustling are increasingly being linked to ivory poaching and road banditry as well. Sera, Biliqo-Bulesa, Melako and Namunyak all have high concentrations of elephant, and are a favourite spot for cattle raiders wishing to hide (and graze) stolen livestock. 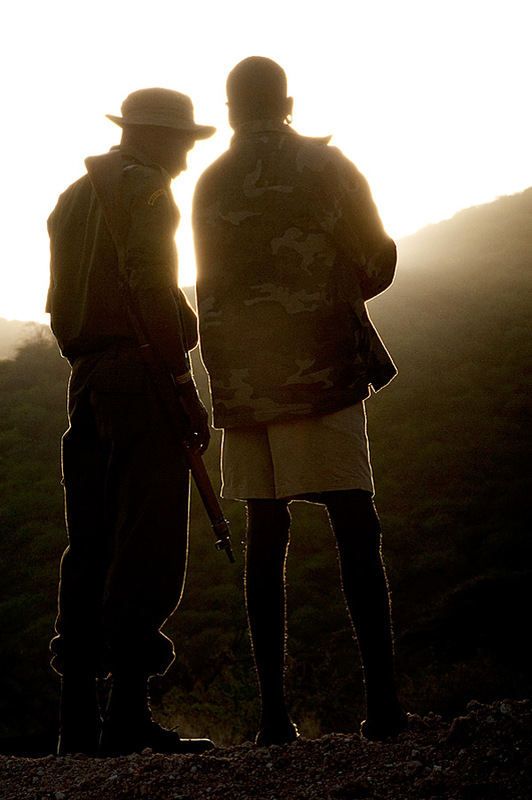 These factors, combined with the sheer size of the area in question, lead to the need for a specialised team to deliver the extra security assistance required in these conservancies.With the help of the Kenya Police and the Kenya Wildlife Service, the 9-1 team was trained in weapons handling, combat operations and advanced first aid. The ethnic diversity within 9-1 has proved one of the teams’ greatest strengths. They are not only able to gain trust and intelligence from all the communities across their patrol range, but they are more effectively able to raise awareness within those communities too. They work closely with the conservancy rangers and the Kenya Police, as they operate under the chain of command of the OCPD. Their close relations with the communities and the Kenya Police means the 9-1 team have become part community policemen, part wildlife guardians. So far, the presence of 9-1 has proven invaluable. The illegal killing of elephants has reduced by 22% in these conservancies over the past year alone (see our 2013 elephant mortality report), and numbers of road banditry and cattle raiding incidents have dropped dramatically. In fact, 9-1 has proved such a success, that a 9-2 team has now been established to cover the community conservancies south of the Ewaso Nyiro river.